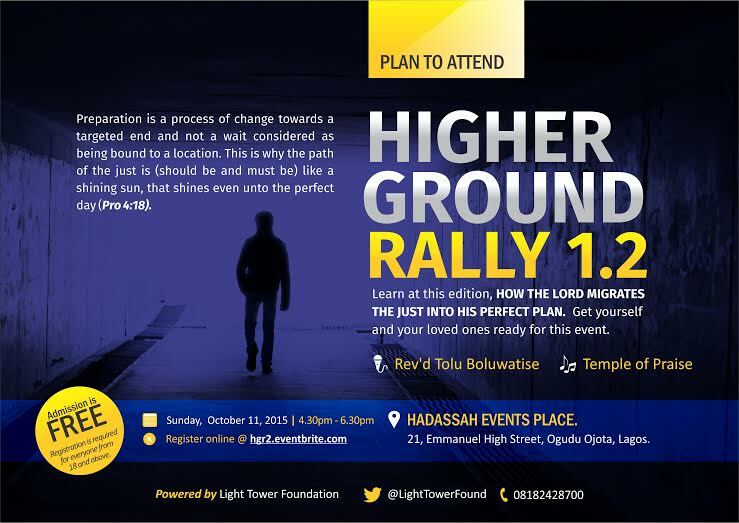 Join me and other believers at LTF Higher Ground Rally 1.2 on Sun 11, OCT, 4.30 pm @ Hadassah Event Place, 21, Emmanuel St, Ojota, LAGOS. Theme is MIGRATING INTO GOD’S PERFECT PLAN. Come along with a friend for the blessing that awaits. Preparation is a process of change towards a targeted end and not a waiting in the sense of being stuck at a location. This is why the path of the just is (should be and must be) like a shinning sun, that shines even unto the perfect day (Pro 4:18). Learn at this edition, HOW THE LORD MIGRATES THE JUST INTO HIS PERFECT PLAN. Registration is required for everyone from 18 and above. After many years of marriage, John decided to divorce his wife. So the counselor gave him this suggestion: ‘Starting today, I want you to go home and treat your wife like a goddess. Start doing everything in your power to please her. Listen intently when she talks about her problems. John agreed it was a great idea, and decided to implement it. He took his wife away on romantic weekends and read poetry to her every night. John replied, ‘Are you kidding? I’m married to a goddess. I’ve never been happier in my life. I’d never leave my wife in a million years. In fact, I’m discovering new, wonderful things about her every single day. Divorce? Not on your life!’ The Bible says, ‘…A man reaps what he sows’ (Galatians 6:7 NIV). And when John changed his strategy and started sowing seeds of love, he reaped a marriage he never dreamed possible. Do you think this same strategy might possibly work for you? What’ve you got to lose? Give it a try and see what happens. Chances are you and your spouse will love the results. It is true that the experience from the past could leave someone with scars. Some of the scars can be listed as unhealthy self image and inadequacy. Inadequacy is the state or quality of being inadequate or lacking the quality that is required; it also means inability to deal with a situation or with life. Inadequacy keeps people stuck in the rut of the past without being able to move forward. The high calling of God upon your life is more than whatever you have been through. You cannot afford to allow the experience from the past to affect it. With God, where you are coming from and its scars on you cannot be as important as where you are going. If you would learn to look away from the effects that the past has put on you, to consider where God is taking you, extraordinary things can happen. There were too many ‘who am I’ in the scriptures. You can also see what God did with David, Gideon, and Saul among many others. The importance placed on where you are headed is the reason why God formed you and why He is dealing with you. Conquer through your challenges, do not look for ease within them. The strength you gain as you militantly wade through your current challenges prepares you for the environment of your next level. Too many people have traded their victory and prospects for ease. Too many have traded their capacity to receive from God for the arrangement to depend on man. The two are never the same. The sufferings of the present time are useful for the coming glory. Don’t run from your challenges. Avoid shortcuts. Your home is a treasure to God. Those who appreciate this treasure their family. God hasn’t done anything significant, beyond heaven’s intervention, without the family. Respect the structure ordained by God. Let the wife submit to her husband as unto the Lord in all things. Let the husband be loving to his own wife as Christ loves the church. Obedience is better the sacrifice. 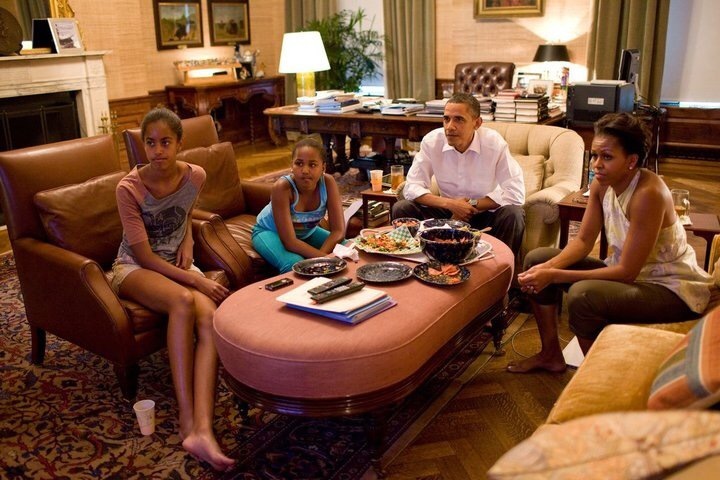 You cannot obey God in your home and your family will fail to be blessing to the world. Save the society! Treasure your family! Devotion to God’s words will increase the possibility for more benefits from the Him for man shall live by every word from the mouth of the Lord. It is time to recognise God as your source and His words as your means. If you do, you will stay current with Him by being devoted and obedient to His instructions, even when confronted with seemingly minor issues in life. To take little things for granted will only produce vulnerability for failure. Devotion to God’s word will cause your faith to be rated as genuine when you are evaluated with life’s tests. It will be foolish to wait for crisis before looking for the word. What we receive today must serve to prepare us for or till tomorrow. When you learn to live by the word of God, your prosperity will be according to the prosperity in your soul.the soul prospers according to the transformation it experiences from the word. This transformation makes for a healthy walk with God because your responses to Him shall be as expected. Every word received from HimGod today will sustain you till tomorrow, for he gives provision as till tomorrow. Your victory at every life’s test will be based on the abundance of the word laid up within. This is the example from Christ who combated and conquered the adversary with “it is written”. The definitions in your heart, whether they are in line or out of line with the word, shapes what you experience. You prosper or journey well in life according to the prosperity in your soul or in line with how well your soul travels with God. God wants you, as He did with Israel, to recognise that your life depends on His words. He asked Israel in the wilderness, “How long do you refuse to keep my commandments and my laws?” Ex 16:28. Your sustenance is not mainly from your material supply but from the word of God. This is why your major concern should be about your soul. Out of your soul flows the issues of life. The issues will be positive when God’s words are laid up in there. Your journey with God is practical; it is seen in how much you agree with God’s word and promises.